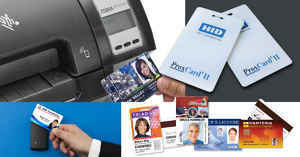 Home » IDSecurityOnline Blog » ID Cards » What Size ID Card Should I Choose? This size is the industry standard and is used for debit and credit cards, library cards, gym cards, customer loyalty cards, photo ID cards, and even driver�s licenses. Common ID card sizes used around the word were codified by the International Organization for Standards (ISO) in its document ISO 7810: Identification Cards�Physical Characteristics in order to give an official size we could all agree on. Called either ID-1 or CR80, these cards measure 3.370 inches wide by 2.125 inches high and come in varying thicknesses, which we�ll discuss in a moment. The key point to know is that the greater majority of ID card printers and software packages will handle this size card. The CR79 card is slight smaller than the standard at 3.303 inches wide by 2.051 inches high. These cards typically are adhesive-backed so that you can stick them to a clamshell proximity card for identification purposes. Smaller sized cards are sometimes used as key cards or cards for stored values like an office copier card. Again, it�s important to know if your ID card printer and software handle this size card before choosing it because not all printers are capable of printing on a CR79 card. A CR100 is 42% larger than your standard credit/debit card size, measuring 3.88 inches wide by 2.63 inches high. These larger cards are easier to see from a distance, but generally too large to hide in your wallet. They�re normally used in governmental installations and are sometimes called �military size� cards. Card printers and accompanying software that can print on CR100 cards are very limited, so carefully research your ID card printer�s specifications before selecting this size card. Again, the standard thickness for more cards is 0.030 inches, or commonly referred to as 30 mil. A card that looks the normal size, but is a little more flexible is generally a 20 mil card, and cards that are very thin to feel almost like paper are 10 mil thick. 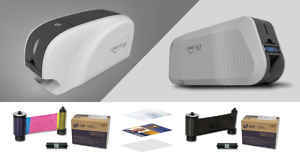 There are cards that are thicker than the standard 30 mil card and are generally used for common access control environments, like door access or parking lot access. These thicker cards are usually used for a single purpose like access control because they don�t fit into most card reading equipment and payment terminals. 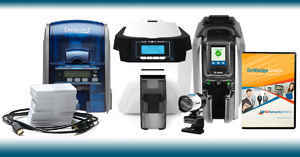 Before selecting a thickness, read your ID printer�s specifications to see what it can handle. You�re most likely better off sticking with the standard CR80 card for your ID cards. 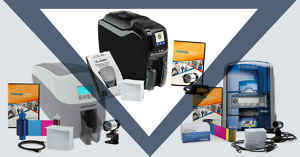 It will make your life easier when choosing an ID card printer system and also leave you with options for future uses that you might not be considering right now. 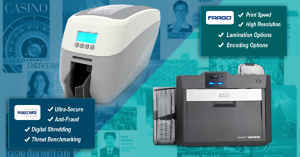 But if you think you might need a smaller or larger card in the future, carefully select the ID card printer system that can handle multiple sized cards. We supply an entire selection of cards sizes and thicknesses so that you get the exact card you need for your requirements. Click here to shop for just the right card, or if you�re still uncertain, call one of our experts today to discuss your needs. We�re happy to help you narrow your choice to the perfect card.